Winter is on its way, and if you have a lot of summer-specific gear and items cluttering your home now, putting them away in a storage unit for the season is a great way to make space. 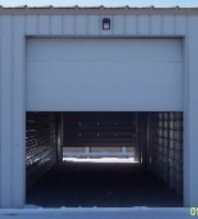 At East “O” Street Self Storage, based in Lincoln, NE, you’ll find storage facilities perfect for your needs. No matter what size self-storage unit you need, you’ll find it here. Pack Anything That Can Get Damaged: If you’re into summer sports like surfing or biking, you know your gear can get damaged if it’s exposed to the elements or improperly stored for a period of time. When you’re trying to decide which items should be kept in storage facilities over the winter, you’ll want to consider including these first. Clean Your Items: If you’re packing away summer items, odds are, they’re the type of possessions you use outdoors. Whether it’s sports gear or a lawnmower, it’s probably been outside a lot these past few months. You’ll want to clean these items thoroughly before putting them in the storage unit to keep them from making anything else dirty. Make Needed Repairs First: If any item you’re storing for the winter needs repairs, try to get the repairs done first before putting it away for the season. Otherwise, you might forget it needs work and unpack it in the summer only to find that you need to fix it before using it. Of course, you should also choose a storage unit that has the right amount of space for your belongings, without charging you too much money. At East “O” Street Self Storage, in Lincoln, NE, that’s just what you’ll find. Visit them online to learn more about what they have to offer, or call (402) 489-0134.